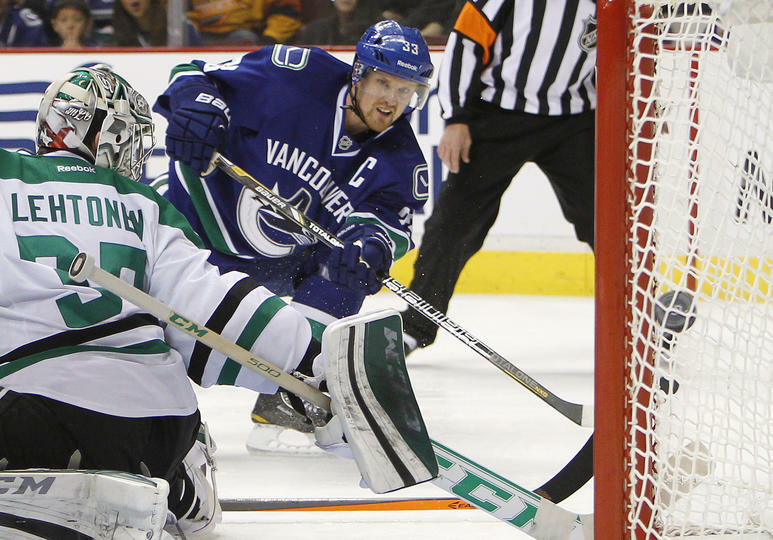 This is the second of three games between the Vancouver Canucks and Dallas Stars, with the Stars having beat the Canucks 2-1 in their first game on November 17th. The Canucks’ perfect December and 7-game win streak came to an end on Tuesday night when the Minnesota Wild beat them 3-2 in a shootout. Still, their 7-0-1 record in December has helped them move up to 6th place in the Western Conference. They’re now just 2 points back of the San Jose Sharks and St. Louis Blues, and 4 points back of the Los Angeles Kings, though all of these teams have games in hand over them. The Stars are coming off a 3-2 win over Colorado Avalanche and are looking to post consecutive wins for the first time since a 3-game win streak over a month ago. Despite the shootout loss on Tuesday night against the Wild, Canucks goaltender Roberto Luongo has been one of the best players for the Canucks – over his past six starts, Luongo is 5-0-1 with a .958 save percentage. For the Stars, forward Ray Whitney scored two out of the three goals in the their Tuesday night win over the Avalanche. He has three points in his last three games (2 goals, 1 assist). The Vancouver Canucks are without forwards Alexandre Burrows (broken jaw), Jordan Schroeder (sprained ankle) and defensemen Alexander Edler (lower body), as well as Ryan Stanton who left Tuesday nights game against the Wild with a left ankle sprain. The Dallas Stars are without defensemen Aaron Rome (lower body), Trevor Daley (sprained left ankle), Stephane Robidas (broken leg) and forward Vernon Fiddler (upper body).